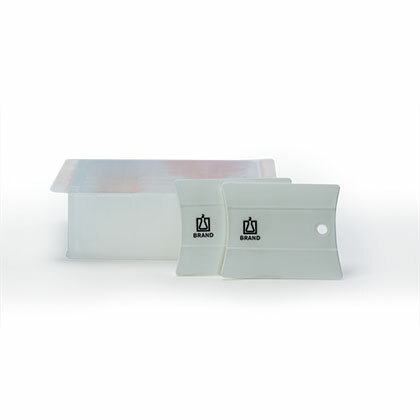 Product and ordering information for PCR Racks, Coolers and Accessories: Racks and coolers hold 0.2mL tubes or strip tubes and 96-well plates; Cap tool simplifies attaching and detaching caps. 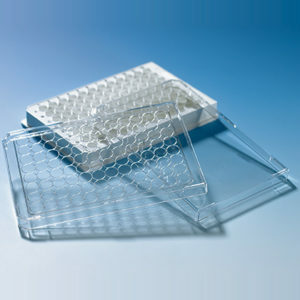 Catalog #: N/A Categories: PCR & Plate Accessories: Films, Mats, Racks, etc., PCR Products, PCR Products, PCR & Plate Accessories: Films, Mats, Racks, etc. 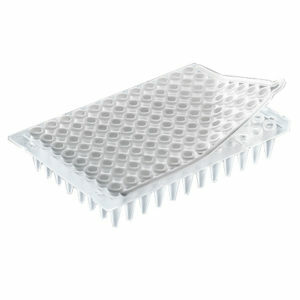 BRAND's PCR rack securely holds 96-well PCR plates, tube strips and individual 0.2mL tubes for easy handling. It is alphanumerically marked for sample identification and can be stacked (without lids). 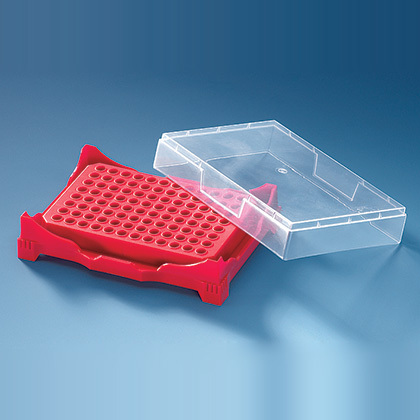 The PCR box holds the rack for storage, and withstands temperatures from -80°C to +121°C. 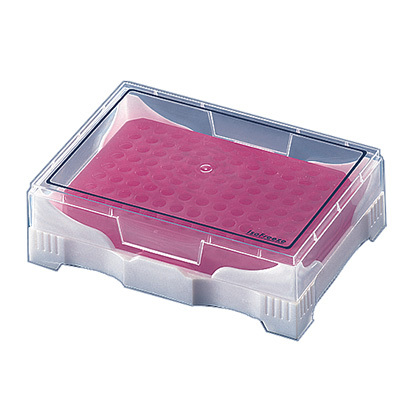 The PCR Mini Cooler helps protect samples from warming. Insulating gel maintains 4°C temperature for approximately 3 hours and changes color from violet to pink when temperature reaches 7°C. Suitable for 0.2mL tubes, strips and plates. Transparent lid included. 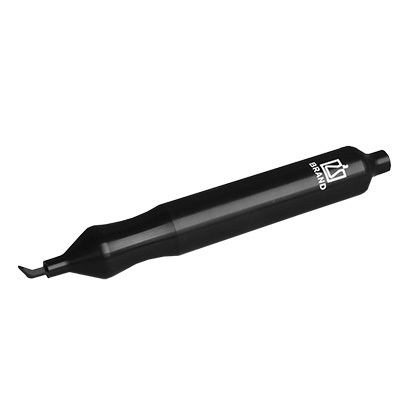 The new BRAND Cap Tool simplifies the process of attaching and detaching caps on PCR plates. 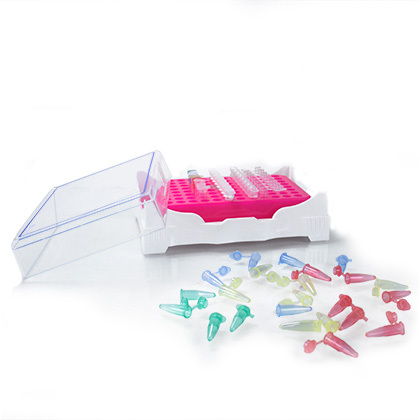 Made of durable polyamide material, this handy tool has an end specifically designed to seal cap strips onto BRAND standard profile PCR plates, as well as PCR strip caps and plates from other manufacturers. 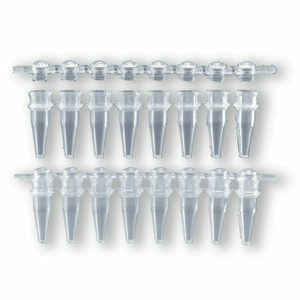 The opposite end features a pointed hook for efficient removal of PCR caps.